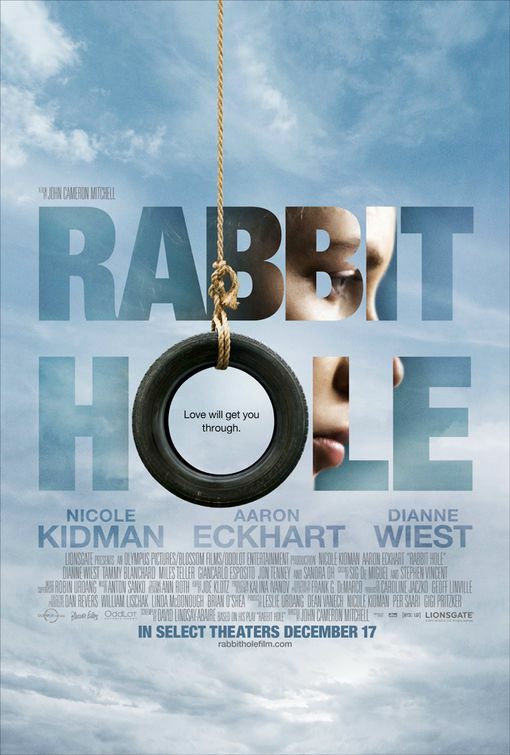 The movie Rabbit Hole: trailer, clips, photos, soundtrack, news and much more! Rabbit Hole – You have to stop erasing him. Aaron Eckhart’s incredible performance is definitely on par with Nicole Kidman’s! 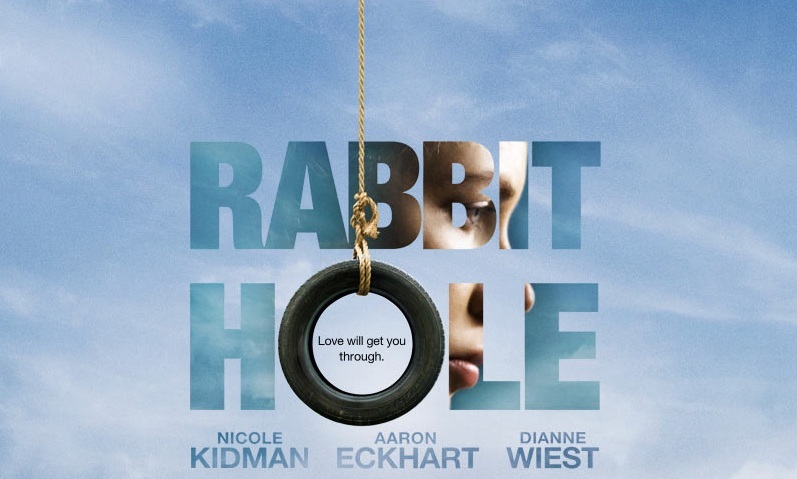 The Rabbit Hole is directed By John Cameron Mitchell and starring Nicole Kidman, Aaron Eckhart, and Dianne Wies. Don’t miss Nicole Kidman’s riveting performance. Sometime after the death of their young son, Danny, Becca (Nicole Kidman) and Howie Corbett (Aaron Eckhart) continue to cope with their grief. Becca becomes closer acquainted with the teenage driver who accidentally hit the boy. 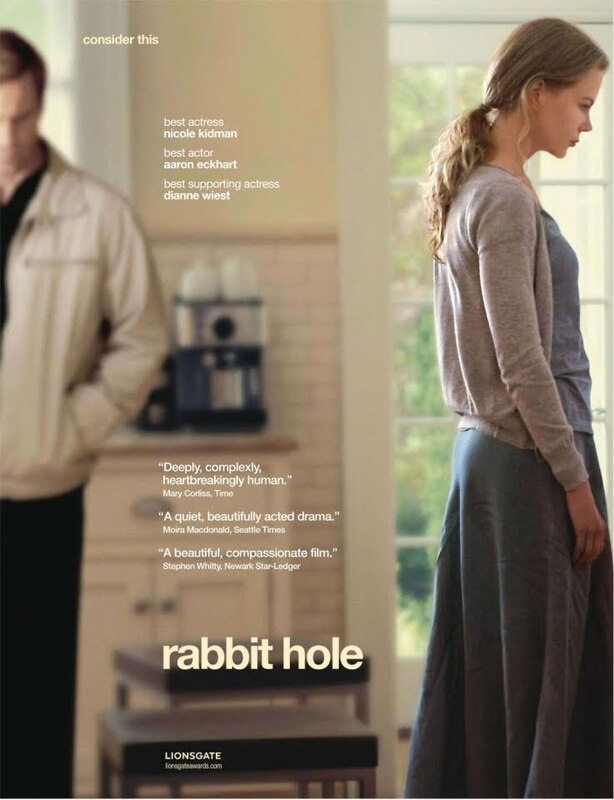 Rabbit Hole – I couldn’t get rid of her after your brother passed away. The film is starring Nicole Kidman, Aaron Eckhart, Dianne Wiest, Tammy Blanchard, Sandra Oh, Giancarlo Esposito, and Jon Tenney. Love will get you through. 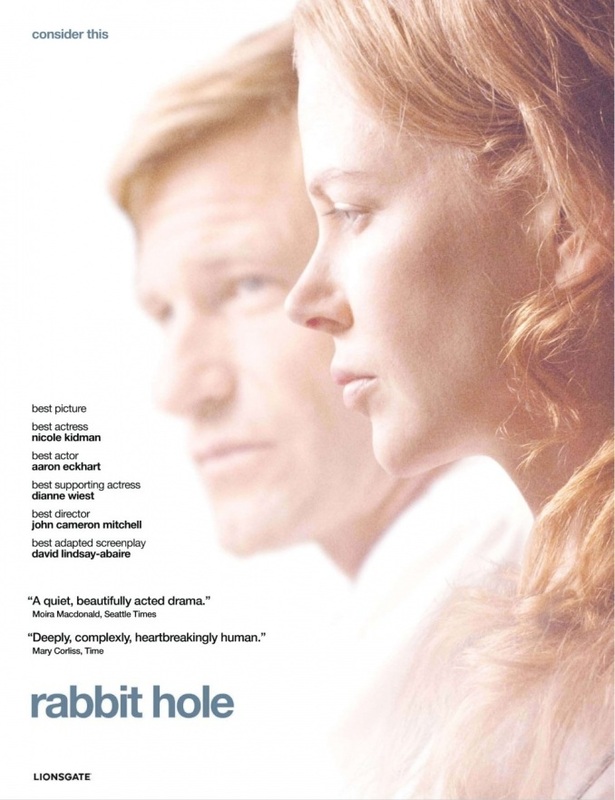 Much sadness in Rabbit Hole, but with a ray of hope it seems: the movie Rabbit Hole looks like a damn moving story! Lionsgate will most likely release the movie Rabbit Hole before the end of this year.